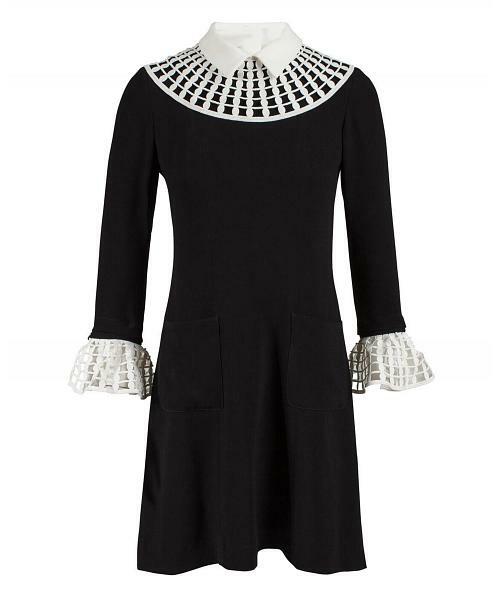 This little black dress offers a multitude of wear, on all occasions, with its removable collars and braids, from the simplest to the most original. This Anne Fontaine Roma dress is made of crepe with rounded pockets at the waist. Two-tone pastille on the sleeves, Reminder of the macramé on the removable off-white crepe collar.